If you can't see this e-mail, click here to view it online. 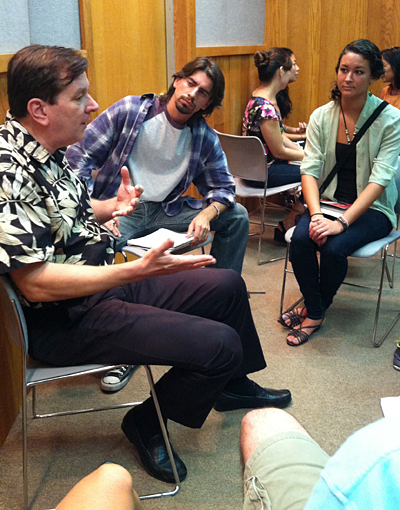 The Society of Professional Journalists, in collaboration with the Asian American Journalists Association, held its second free journalism career consultation workshop on Sept. 17 at Hawaii Public Radio Atherton Studio. 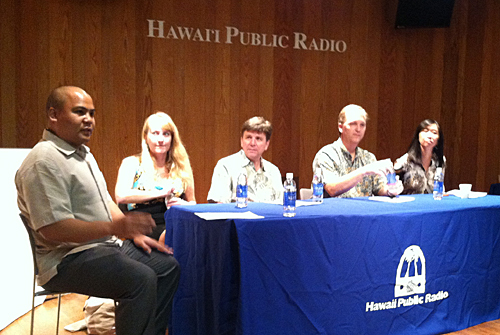 Jason Ubay, managing editor of Hawaii Business magazine, moderated the panel which also included Kevin Bumgarner, editor of Pacific Business News; Mark Platte, news director of Hawaii News Now; and Malia Zimmerman, editor of HawaiiReporter.com. The speakers shared their insights on moving from print to broadcast, moving to Hawaii, starting a website and how news develops. About 15 to 20 students and working professionals attended the event which included a panel discussion on what it takes to have a career in journalism. The attendees then broke into groups and did several 15 minute consultations with Oskar Garcia, news editor of Associated Press; Sara Lin, assistant editor at Civil Beat; and Steve Petranik, editor of Hawaii Business magazine, as well as the panelists. Delegates opted to reject reviews of chapter financial records after a contentious debate. Auctions raised more than $8,000 for the Legal Defense Fund. Delegates discussed ways to boost membership in professional journalism organizations. More highlights and recaps can be found online at SPJ.org. Click EIJ12. HAWAI‘I CHAPTER SPJ // P.O. BOX 3141 // HONOLULU, HI 96802 Received this e-mail in error? Click to unsubscribe.